WWF Caucasus and the Critical Ecosystem Partnership Fund (CEPF): a partnership for biodiversity conservation in the Caucasus Ecoregion. Thriving communities, healthy ecosystems - that simple but crucial idea is perhaps the key to successful biodiversity conservation. 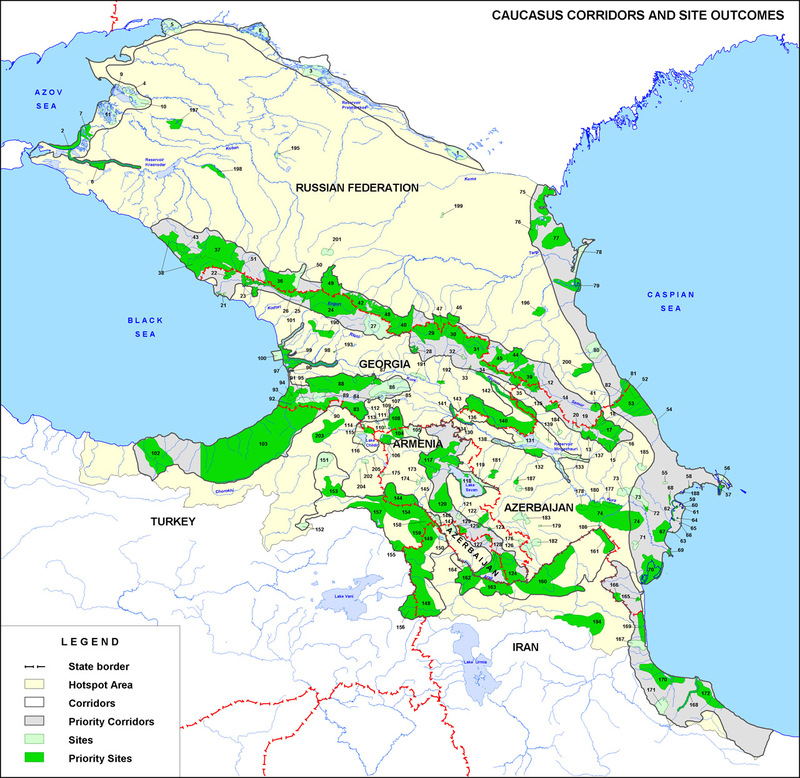 The Caucasus is one of the world’s biologically richest yet most threatened areas. The forests, high mountain ecosystems and arid landscapes contain more than twice the animal diversity found in adjacent regions of Europe and Asia. However, biodiversity is being lost at an alarming rate. Human activities have transformed nearly half of the se lands. Fifty species are at risk, including the critically endangered Saiga antelope, the Siberian crane and the Baltic (Atlantic) sturgeon. This joint initiative is a unique opportunity for a range of civil society groups to reverse the escalating losses by contributing to biodiversity conservation projects in the Caucasus. Help preserve the diversity of life and healthy ecosystems as essential components of stable and thriving societies. Undertake initiatives that will also contribute to poverty alleviation and economic prosperity. The Caucasus area covers territory in Georgia, Armenia, Azerbaijan, Russia, Turkey and Iran. Within this region, CEPF is interested in supporting initiatives in 5 target conservation corridors: Greater Caucasus, Caspian, West Lesser Caucasus, East Lesser Caucasus and Hyrcan. CEPF welcomes projects which not only address particular species or sites for conservation, but ones which also build international cooperation. Through the direct financial support of local community groups, non-governmental organizations, local and national governmental offices and scientific institutions, CEPF will help to implement replicable programs that incorporate sustainable use of resources in the five target corridors. This grant making partnership will run for 4 years, and USD 8.5 million will be invested and calls for proposals will be announced at various stages throughout the project. The aim is to conserve biodiversity through the strengthening of civil society. CEPF looks forward to hearing from those who share this view. CEPF is a grant-making partnership which provides strategic assistance to nongovernmental organizations (NGOs), community groups and other civil society partners to help safeguard Earth’s biodiversity hotspots or ecoregions. CEPF is a joint initiative of l'Agence Française de Développement, Conservation International, the Global Environment Facility, the Government of Japan, the MacArthur Foundation and the World Bank. A fundamental goal is to ensure civil society is engaged in biodiversity conservation. Identifies conservation targets on species, sites and landscape corridor levels. Determines CEPF’s focus, its subsequent strategic direction and investment priorities over a 5 year period.